If you are looking to buy High Intensity Discharge lighting then you should first take a look at a HID color chart in order to find out which HID colors are the best ones for your need. The HID color chart describes the different HID colors of light in terms of Kelvin. A Kelvin is a unit of measurement that describes color temperature. It can be used to measure the hue of the lights in a HID kit. In most cases, HID kits are made available with colors ranging from 3000K to 20000K and these HID colors will range from yellow HID lights, to different shades of blue headlights. The most popular HID colors for High Intensity Discharge lights are 6000K (white headlights) and 8000K ( blue headlights or what is some term iceberg blue ). The higher the K number listed on the kit, the bluer the light that it produces. It is important to remember this. Lower numbers tend to be yellow, and as the number increases the light becomes deeper and deeper blue. One common misconception is that high Kelvin numbers mean brighter lights. This is not the case. The ideal Kelvin range for a HID kit being used on a car would be 4300K to 6000K. In fact, 4300K is the closest replication to natural sunlight, and this means that they are ideal for driving. As the Kelvin range increases, the light becomes less efficient. At 10000K plus, the light becomes so blue that it starts to scatter before it hits the road, and it does not project far enough to really help the driver see either. While higher saturations look good and are ideal for cosmetic lighting, these HID bulb colors are not good from a functional point of view. The blue headlights in the HID color chart might look cool but don’t work well for actually seeing the road at night. Colors in the HID color chart can be described as being either warm or cool. Warm colors are the ones that are in the red to white range HID bulb colors and this includes yellow and orange. Colors that have low Kelvin ratings are warm colors. Cool colors are ones that have higher Kelving ratings. Again, warm colors are not necessarily less bright than cool HID bulb colors. Cool colors include blue-ish whites, through to the indigo shares. Xenon HID lights that produce cool colors tend to produce less usable light than ones that produce warmer colors. For the brightest possible light, opt for a 4300K or 6000K bulb, because these are quite close to sunlight. If you want a light that is suitable for a fog lamp, choose 3000K. This is a yellow light and it is considered to be a decent replacement for Halogen fog lights. The 4300K kits are a good choice for a day-to-day driving light, and they are the most popular type of light for OEM kits. Some people prefer 6000K kits, and these are a hugely popular aftermarket option. The light is 95% white, with 5% blue, making it probably the most attractive, clean and crisp looking of the HID colors. At the 8000K level, the light starts looking pale blue. 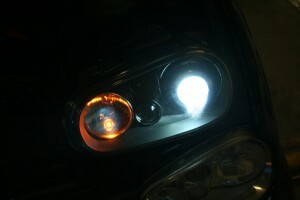 These lights still produce a decent amount of usable, visible light, and they are an OK option for an aftermarket HID. They look very good and they are still almost as functionally useful as the 6000K kits, producing almost as much light. The 10000K lights have a deep blue appearance and they produce far less light than those with a lower Kelvin rating. This means that they are likely to attract attention from the police. It is not a good idea to use these lights, because you run the risk of getting a ticket if you are seen with them. 12000K lights should be avoided in all cases. These lights have a violet appearance, and they have very poor visibility. 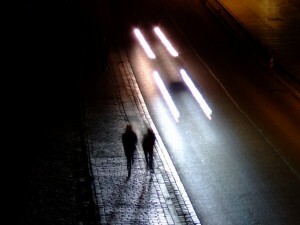 Driving with them would be incredibly dangerous, especially at night. The lights are not particularly nice to look at, and you would be a hazard on the roads if you used them. Lights that are above 12000K produce darker blue and even purple colors of the HID color chart. These bulbs are not intended for use on vehicles, but rather for cosmetic purposes only. No matter which one of the HID colors that you choose, it is important that you pick the right housing. Reflector housing is the most common kind of housing and it was originally intended for use with halogen bulbs. Reflector housing will not cause a colour shift, and it will produce light that is uniform throughout. It is not a good idea to use HID lights in reflector housing because this housing will reflect all of the light, potentially blinding other road users. Projector housings are less commonplace, but they are designed for use with HID lights. This kind of housing is newer, and it focuses the light on the housing precisely, reducing the glare for oncoming road users. This will make the light seem slightly differently colored depending on the angle that it is viewed from the projector lens will bend light around the cutoff points. However, the road itself will be white and doesn’t effect the colors of the HID color chart. Most aftermarket HID lights are intended for off-road use only, and you could get a ticket if you use them on the roads because they are not DOT approved. While many people do get away with using 4300K and 6000K HID lights on their vehicles, they are simply lucky to have not been caught. It is important that you check the law in your local area before installing any form of HID light, and that you realise that if you use unapproved HID lights on the roads you are doing so at your own risk. Hope this helped you understand the HID color chart but for more information check out this article; https://en.wikipedia.org/wiki/Color_temperature.